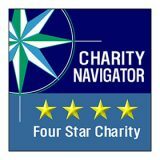 NYCP’s partners at AIG have provided us with a substantial grant in addition to their volunteer support. The grant will be used to support our food distribution and other programs. 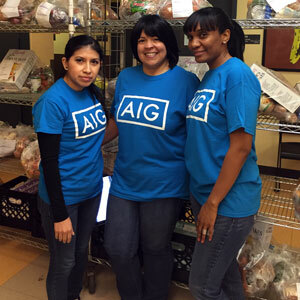 In addition to financial support, AIG’s employees have provided over 850 hours of service to the agency over the past three years. In addition to serving dinner in the Hot Meals program, AIG volunteers help pack and distribute grocery packages to families in our Choice Pantry. 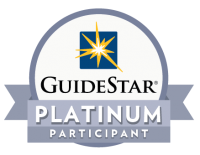 The grant is a result of the growing partnership between the Pantry and AIG, which is based in long-term volunteerism and on-site participation in multiple food drives. 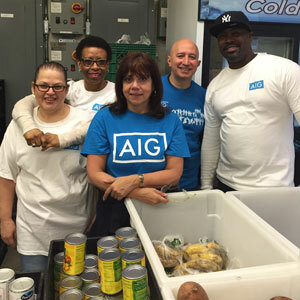 “AIG’s support for our food programs alongside their dedicated volunteerism comes at a crucial point where we continue to see new people needing our services,” stated Stephen Grimaldi, Executive Director of NYCP. Thanks to the funding from AIG, NYCP will continue to be able to provide healthy food and other services to increasing numbers of Pantry members and visitors.